This links is often overlooked by golfers in the Dublin area. It is a great test of golf. Is there a narrower fairway in golf than the 14th? This low-profile Dublin links is the real deal and certainly no village layout – look at the green fee. 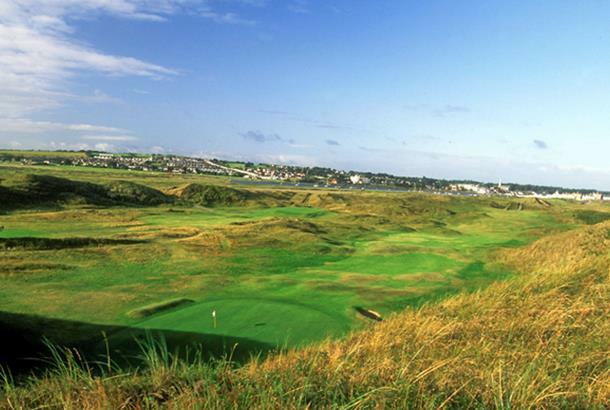 Opened in 1890, this links on an isolated peninsula was one of the first dozen clubs in Ireland. Amazingly, it has had five different clubhouses in that time, but the course is virtually unchanged with a collection of interesting holes nestling between the sand dunes. Unless you live in the Republic, chances are you won't have heard of The Island. Started in 1890 by some wealthy Dublin batchelors, it has never held any major tournaments and as a result doesn't get the high profile coverage of more commercial golf courses. The golf course has undergone major changes since 1973 and although some of the old eccentricities have been ironed out, it remains a wonderfully idiosyncratic place. A mere 15 minutes from Dublin airport, The Island is located across the estuary from the quaint village of Malahide, just north of Portmarnock. 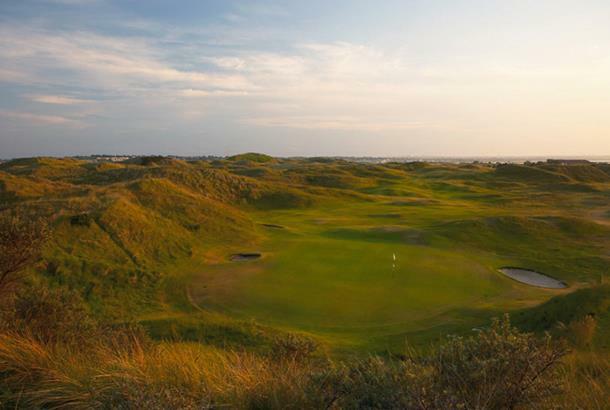 It's surrounded by the Irish Sea, Donabate Beach and Broadmeadow Estuary and nestles between the highest sand dunes of any links golf course in Ireland. In the 1950s , the golf club went bankrupt while for over 100 years the only way of getting to the golf course was by boat. Top British architect Fred Hawtree drew up plans to revamp the golf course in 1973 and over the next 20 years these were gradually implemented by top Irish designer, Eddie Hackett. Stay & Play: The three star Waterside Hotel is about one kilometre away. Green Fees €125 all week (€185 for 36). Amazing course that flies under the radar. Course length is wrong in your description. It is just under 7100 yards of the tips. Very welcoming staff . 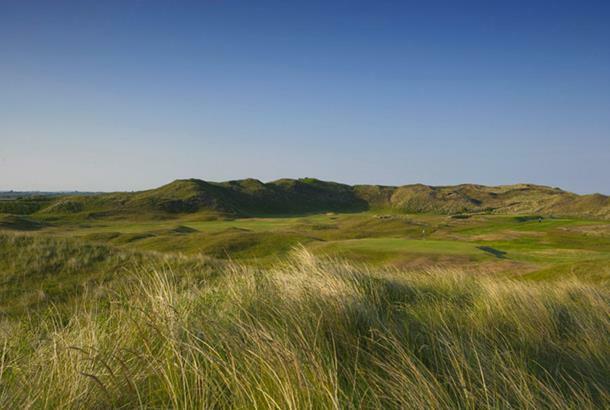 Trump doonbeg comes in very high only because of the new name associated with it now. Does not say much for the credibility of the ratings.